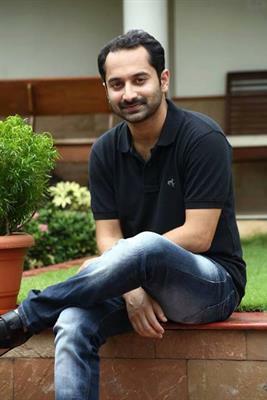 Mariyan Mukku malayalam movie to be directed by James Albert will feature Fahadh Faasil in lead. Scripted by James himself, the movie zooms into the life of a young fisherman named Felix. The movie also features Hima Davis and Nedumudi Venu, Thiagarajan, Sreenivasan, Tini Tom and Aju Varghese in prominent roles. Read more about the movie Mariyan Mukku'. Riding on the success of his recent movies, young actor Fahadh Faasil is gearing up to don variant characters in his upcoming ventures. He will play the lead role in James Albert's directorial debut 'Mariyan Mukku'. The out and out entertainer is helmed by scribe-turned-director James Albert is set against the backdrops of sea and people who makes a living by catching fish. Fahadh gives life to Felix, a fisherman who belongs to a village called Mariyam Mukku. The place has a historical significance with a shrine of Mother Mary situated in the middle of the village. The native who are mostly fisherman truly believe that they are descendants of Portuguese. 'Mariyan Mukku' tells the tale of the people living in the place and a series of incidents which happens in their life. To be shot at Thankassery beach in Kollam, this romantic comedy to be packed with humour, sentiments and thrills will be a visual treat for the moviegoers. To give full dedication to the character, Fahadh will try to speak the dialect spoken by fisherman in the area. Hima Davis who made her screen presence in the movie 'Mumbai Police' will play Salomi, the love interest of Felix. Nedumudi Venu will give life to the character role of Salomi's father who belongs to the Anglo-Indian community. He is called as 'Sayippu' by the villagers. To be produced under the banner of Saam Big Movies, the movie will have Thankaserry, Kappil and Vizhinjam as locations. Thiagarajan, Sreenivasan, Tini Tom and Aju Varghese would also be seen in prominent roles. Gireesh would helm the camera while Vidyasagar will move his magic fingers to set the tunes for the movie. James Albert who has scripted for 6 movies including 'Classmates', 'Evidam Swargamanu' and 'Ezhu Sundara Rathrikal' aims to show his skill as a filmmaker too. After the post produduction works, the movie will kiclk start at Kollam on 10th October. Fahadh who is looking forward for the release of 'Money Ratnam' and 'Iyobinte Pusthakam' has committed projects including 'Isam', 'Vambathy', 'Maheshinte Prathikaaram', 'Maniyarayile Jinnu' 'Cartoon', 'Sivaganga Factory' and few other untitled ventures.